Nick Glozier is the Professor of Psychological Medicine at the Brain and Mind Research Institute, Sydney Medical School and a consultant Psychiatrist. He has interests in psychiatric and physical comorbidity, stigma and work related disability. He has worked in Europe, South Asia and Africa, in areas of mental illness and its comorbidity with sleep disorders, stroke, cardiovascular disease and epilepsy. 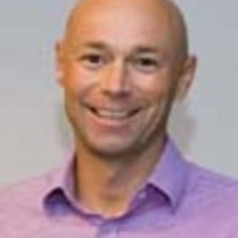 He is a Chief Investigator in CIRUS the NHMRC funded Centre for Research and Understanding of Sleep and undertakes a number of observational and interventional studies in sleep and psychiatric disorder. In the past five years he has published over 60 peer reviewed papers, several textbook chapters, given up counting conference abstracts, and been part of technical assessments and reviews for the DSM-5 revision, the Commonwealth Health Minsters Meeting, the National Mental Health Commission and the National Heart Foundation. Previously he worked at the Institute of Psychiatry in London and at the World Health Organisation, primarily in the area of disability. He was part of the team who developed the WHODAS 2.0 cross cultural disability assessment and the International Classification of Health, Disability and Functioning, the ICF.